Join me as I share practical strategies for engaging children in independent reading. An award-winning Texas teacher and the author of The Book Whisperer (Jossey-Bass, 2009) and Reading in the Wild (Jossey-Bass, 2013), I serve as Scholastic Book Fairs’ Manager of Independent Reading and Outreach. Be sure to share your best practices, too. Learn about the power and importance of summer reading. Donalyn shares her newest read-aloud picks in celebration of World Read Aloud Day. For students who lack a plan for future reading, series fiction provides a plan. Hear how mysteries provide opportunities to practice inferential and predictive thinking. In this episode, Donalyn discusses the benefits of reading graphic novels. 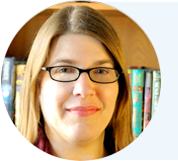 Hear strategies for engaging dormant middle school readers with high interest titles. Explore the benefits of read alouds and preview engaging titles for K–8 readers. Engage children in independent reading and incorporate trade books in the classroom.